I arrived in New Zealand last Sunday, 21 August 2016. It's my first time here and I never thought I would ever get to visit 'Middle Earth'. I was surprised with how fast I cleared immigration in Auckland. I was met by Br. Pat Lynch as soon as I cleared immigration and was on my way to a new adventure in 'God's Own Country'. My days here were spent visiting classes and interacting with the students. They were very curious about the Brothers and very curious how a Filipino-Chinese Brother actually ended up in Australia. I get a sense that most of the students here can resonate with my own story of how my grandparents migrated from their own country looking for a better place. For most of them, their parents have indeed found a better place. 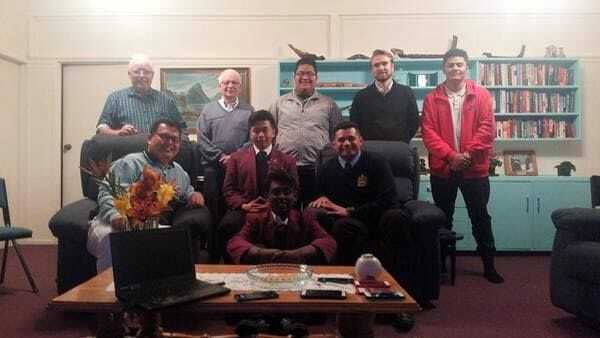 The highlight of my visit was the dinner where select students from De La Salle College Mangere were invited to come and have prayers, supper and a question and answer activity with the Brothers. Five students generously answered the invitation and we had a pleasant evening together. At the conclusion of the question and answer, I shared a video about the 'Fratelli Project' in Lebanon. Through the project, the De La Salle Brothers are working alongside the Marist Brothers to provide support to refugees from Syria who have fled to Lebanon. This generated a lot of interest because the students never imagined that the Lasallian family is reaching that far into a conflict zone. I go back to Melbourne on Saturday evening with a heart full of hope that a new generation of Brothers will soon come forth from New Zealand thanks to the dedication and commitment of the Brothers here. My heartfelt gratitude to Brs. Pat Lynch, Lewis Harwood and Jack Iremonger in Mangere for welcoming me into their community and making this trip possible. About: Philippines-born Br Mandy Dujunco has been staying at the De La Salle Brothers community in Malvern, Melbourne since late last year. 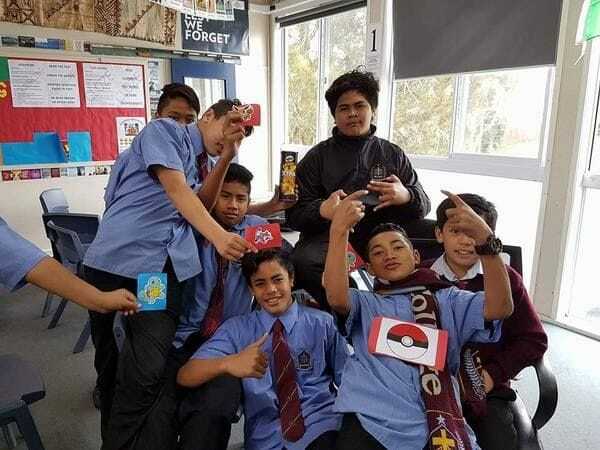 This month he made his first visit across the Tasman to New Zealand and he writes here about his visit to De La Salle College Mangere East in Auckland.